Recently the creators of the new Nier game sat down with Dengeki Magazine (translated via Siliconera) and revealed some seriously interesting tid bits about the games connection to the first game and the Drakengard mythos as a whole. Effectively one of the first pieces of information was what we already knew that the game is a direct sequel to Nier, however it takes place far in the future of the original game making it an easy entry point into the series for new gamers. Although I am personally a huge fan of Nier and Drakengard this is a really good idea as to be perfectly honest the way both Nier and the recent Drakengard 3 are structured a clean opening on a new console may be a good idea. Key developers working on the new Nier game spoke with Dengeki in a recent interview. Edit: Keiichi Okabe will return to compose the new game. Nier, Yonah, Kainé are names that will likely have a chance of being mentioned in the upcoming game. Yoko says that Emil will appear. 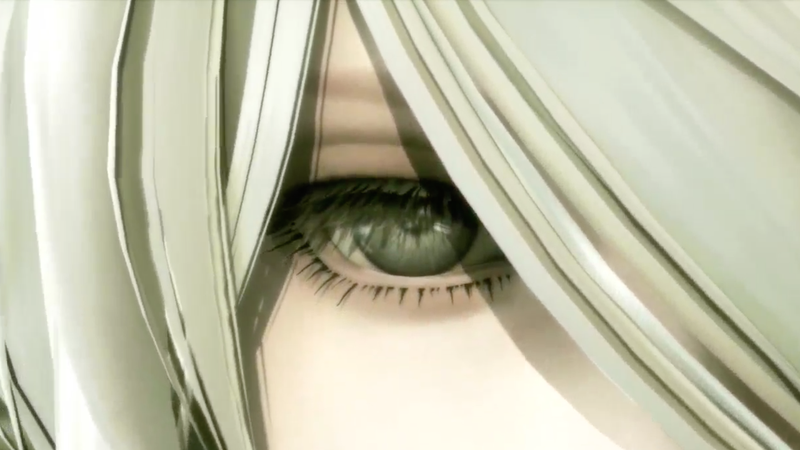 Accord from Drakengard 3 will also be mentioned by name. While they didn’t reveal the name, they say that ____ will be in the game as well, and Dengeki were really surprised to hear about this. Again this is very neat. For those who don’t know Emil is a character from the original Nier who Director Taro Yoko dressed up as during the Square Enix Press Conference announcing the game. Furthermore Accord a character I expected to see more of serves as both the Narrator of Drakengard 3 and appears on screen during some of the hardest endings of the game to achieve. Where she appears to be an immortal robot that tends to the fabric of time. Her inclusion in the game leads me to believe this will be as weird as any in both series and will hopefully give us clarity on the issue of Drakengard 3’s endings and which are game canon. The mysterious character I’m personally hoping is Zero (as some endings hinted at immortality and Accord herself mentioned she wasn’t done) but it could be anyone really. Other information includes gameplay details about being multiple player character, each of whom play differently. The balance of the game is designed to be beginner friendly which is kinda annoying as by the end of Drakengard 3 I was more then able to beat most levels without ever being touched... finally the tone of the game will be reminiscent of the first while still being a new beast. Oh and apparently it’ll have a “happy ending” whatever on earth that means coming from Taro Yoko... regardless I’m very much looking forward to this game and everything I see makes me want it more. This cannot come fast enough. It was my reveal of E3 for a reason.